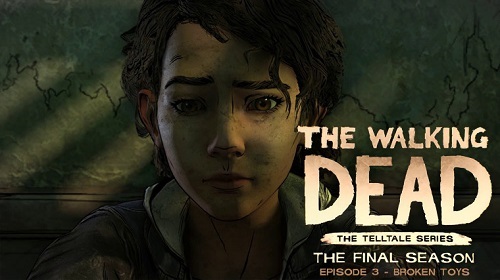 Skybound Games became the new developer of The Walking Dead Final Season because original developer Telltale Games laid off most of its staff & The Walking Dead: The Final Season Episode 3 was formally aborted but Skybound helped Telltale complete this project & finally we are able to see conclusion of Clementine’s story. We have added everything we know in The Walking Dead: The Final Season Episode 3 “Broken Toys” review including its story, gameplay & release date, & you can enjoy watching its trailers & walkthroughs. Those who bought season 4 would not have to pay again for the last episodes because Skybound announced that if you have bought season 4, you will not have to pay again. You can get future episodes as soon as they are launched. 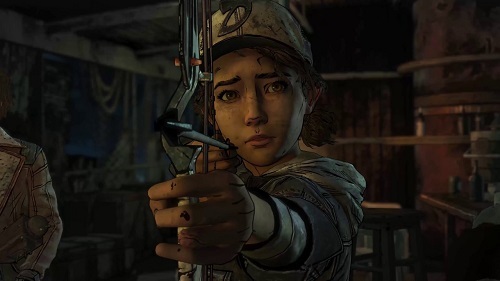 Clementine who is a brutal & skilled survivor, has arrived at the last chapter in her adventure. After spending years on the road fighting dangers both living & undead, a secluded school might ultimately become Clementine & AJ’s chance for a home. But saving it will mean sacrifice. 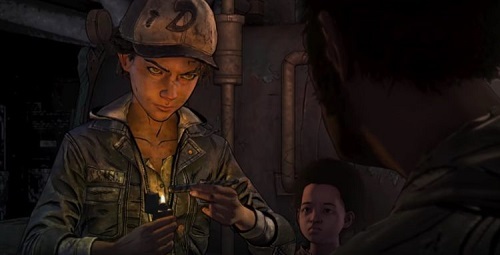 Clementine has to start a life & become a leader & look after AJ, who is an orphaned kid. Episode 3 Broken Toys trailer starts as Clementine is still accompanied by AJ. She wakes a tied-up raider enemy with a bucket of water to the face. AJ watches how she tortures the enemy with a lit cigar for info. on the location of her people. A later cutscene shows a blood soaked Clementine & a team of friends walk among the undead, & remain unnoticed by the roaming zombies. The major surprise is the appearance of Lee at the end of the trailer. Lee is the main character of The Walking Dead: Season One & he was the guardian of Clementine. During trailer his character remains off-camera, his voice & his use of nickname for Clementine “sweetpea” suggests that it is Lee. Clementine faces some hard choices & new challenges in the second last episode of her adventure. Clementine is fighting hard to save her people. The trailer shows another Walking Dead feature which allows you to disguise yourself to walk amongst the roaming zombies. In this immersive & emotional final season, your decisions shape your relationships, define your world, & decide how Clementine’s story finishes. The Walking Dead: The Final Season Episode 3 Broken Toys is released on 15 January, 2019 on PC (through Epic Store), PS4, Xbox One & Nintendo Switch. Watch The Walking Dead: The Final Season Episode 3 "Broken Toys" official trailer. Take a look at the official teaser trailer of The Walking Dead: The Final Season Episode 3 "Broken Toys". Watch The Walking Dead: The Final Season Episode 3 Broken Toys launch trailer in HD. Take a look at The Walking Dead: The Final Season Broken Toys release date trailer. 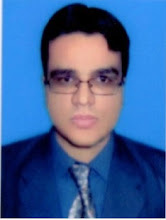 WELL WRITTEN ARTICLE. KEEP UP THE GOOD WORK ADMIN.